Lifting your Wrangler JL is great for going off-roading and for giving your Jeep a great look. The problem is that it might make it harder for you or your buddies to get in and out of it. DV8 has a brilliant solution for this while adding protection with their Slider Step. 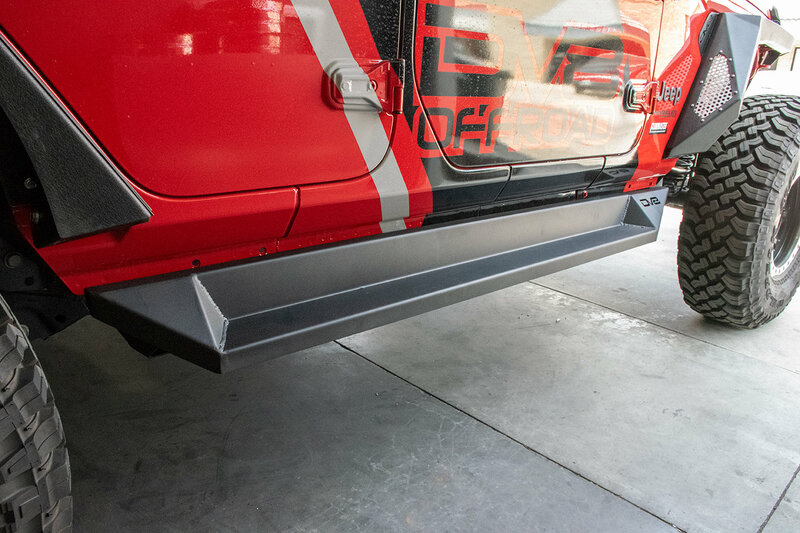 Not only do these give you a step to help with getting in and out but they also double as a rock slider to protect your Jeep when you are having fun rock crawling. Best of all there is no need to make any modification to your Jeep and they use the existing factory hardware for installation. Looks & Functionality: Gives you Wrangler JL a nice sleek look while acting as a side step and a rock slider for those rocky terrain trails that you conquer on your off-road adventures. 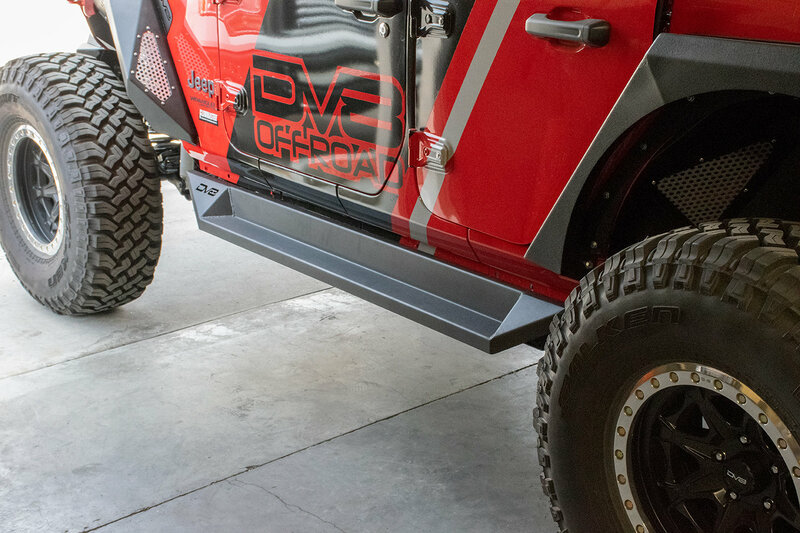 Design: DV8 uses a boxed in plate design to aid as a rock slider as well as giving you a solid stepping area to help with getting in and out of your Jeep. No Modifications: There will be no drilling or cutting for installation of these sliders. Simply use the original factory hardware to attach them and your Jeep will be trail ready in no time.